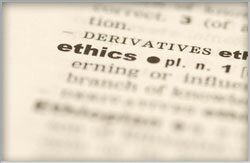 Psychologists are not only bound by ethical principles but must conform to legal standards as well. Although not bound by them, psychologists should be aware of guidelines that have been published relating to specific practice area. These standards, laws and guidelines have been compiled so that IPA members can access them easily. Click on the links below to access guidelines, ethical standards, and laws relating to the practice of psychology. The following guidelines, among others, may all be found on the APA website.